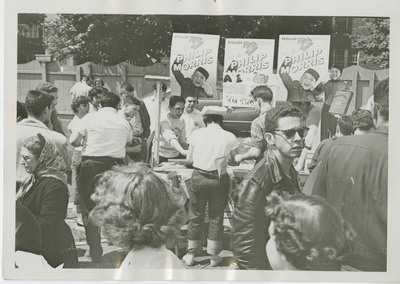 Black and white photograph of students working at and gathered around a Philip Morris booth at the Country Fair. Undated. Taken by Bernard Haussman.